Just like the rest of us, celebrities have to live somewhere, and eventually they'll want to move on and sell their home. Often, agents are reluctant to publicise the fact that a star has lived in a particular property, worried it will just bring out the gawpers. However, sometimes they make a feature of the fact; and sometimes it's possible to put two and two together and work it out. We look at seven houses where celebrities once lived. After moving in with boyfriend Liam Payne, former Girls Aloud singer Cheryl has a house to spare - so she's letting out her Hertfordshire pad. With a baby on the way, the couple have decided that Liam's Surrey mansion is a more practical home for the time being. But this six-bedroom mansion is bound to be perfect for somebody, with its stunning brick-and-glass construction and eco-friendly design. It has every luxury, from a heated swimming pool to a cinema room, and it seems that Cheryl isn't quite ready to let go: it's up for rent, at a whacking £18,746 per month. There's plenty of space to kick a football here - 1.4 acres, to be precise - and this house was once home to football pundit and former Wales international Robbie Savage. The Grade II listed Georgian house has five reception rooms, five bedrooms and a lovely farmhouse kitchen with exposed brickwork and loads of beams. However, the bright decor might be a bit too much for some. Outside, there's a converted barn with extra accommodation and parking. 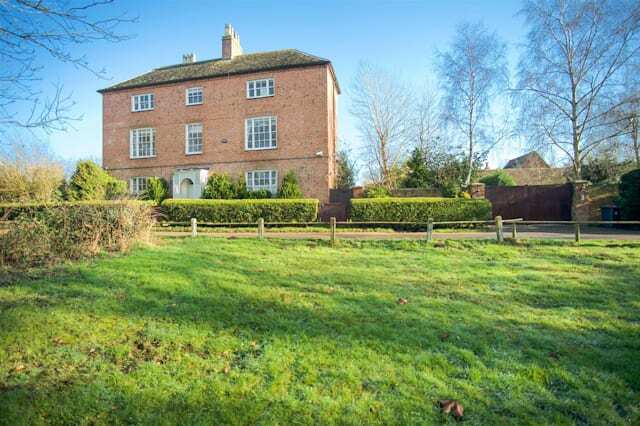 Milford House is on the market with Fine & Country with an asking price of £1.75 million. Tom Cruise hasn't had much luck selling the West Sussex mansion he bought for a little over £3 million in 2006: it's been on the market for over a year. It's a modern home on a private estate, with six bedrooms and every luxury, from a heated outdoor swimming pool to a dance studio and billiards room. There's even a massive bath on a black marble pedestal in the master bedroom. It's on the market through agent Savills; and, given the house's failure to sell so far, it might just be worth trying to haggle down the £4.95 million price. This glorious Regency villa was once home to Zara and Mike Tindall, who lived there in the early years of their marriage before selling it in 2013. The couple then moved to nearby Gatcombe Park, where Zara's horses were stabled. The house, while stunning, is relatively low-key, with restrained colour schemes and a simple white kitchen. It's on the market with Knight Frank, with an asking price of £1.7 million - £500,000 more than the Tindalls sold it for. It should come as no surprise that this house has a gorgeous kitchen - it's owned by chef Jamie Oliver, who put it on the market late last year. The lovely eighteenth-century home has an equally lovely location, in Old Hampstead, and has stunning views south across London. There's a large conservatory, four large bedrooms and an outside terrace which wraps around the house, as well as a small garden. It's on the market with Benham & Reeves for £3.25 million. Just imagine being able to live in the house that was once John Lennon's home, and where he wrote some of his best-known songs. Well, if you've a few million to spare, you can - by snapping up this six-bedroom mock Tudor mansion, which was home to the Beatle from 1964 to 1968. It's got extravagant gardens and an indoor swimming pool complex, and a terrace with lovely views. The interiors are rather more restrained than the outside might suggest. But it'll cost you a whacking £8.95 million through agent Knight Frank. If Lennon isn't your favourite Beatle, you might prefer to follow in the footsteps of George Harrison and Ringo Starr and rent this three-bedroom flat in Knightsbridge. The block looks pretty grim from the outside, but inside things are rather smarter. There's a good-sized living room and a spacious balcony, and the flat comes with underground parking. It's up for rent through agent John D Wood & Co. The most expensive property on the open market in London right now isn't even a house. 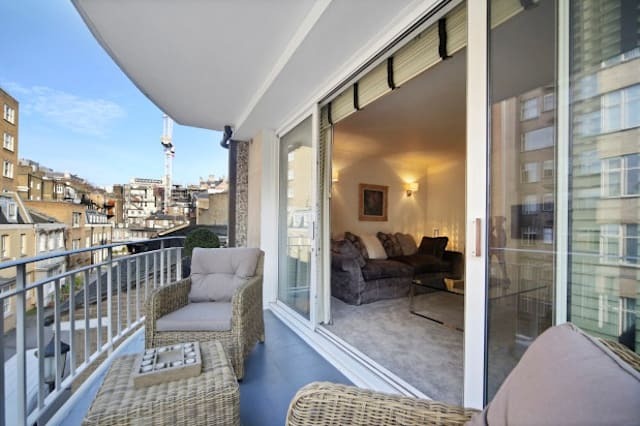 But this five-bedroom apartment has the prestigious One Hyde Park address, with magnificent views of both Knightsbridge and Hyde Park. Like a country house, it's split into two wings, connected by a 50-metre hallway. And the Candy & Candy decor is dramatic, to say the least. It's priced at an eye-watering £64,999,950, through Savills. This seven-bedroom house has both indoor and outdoor swimming pools, along with a spectacular double-volume entrance hall, panelled study and grand double reception room. There are also two large dining rooms, a cinema room and a staff flat on the lower ground floor. It costs £46,500,000 through Knight Frank. This 18th-century house has its own spa tucked away in the basement, with swimming pool, gymnasium, steam room, sauna and beauty treatment suite. The "magnificent ambassadorial mansion" has six receptions, eight bedrooms and a separate mews house. It costs £39,500,000 through Savills. This house may look in pretty good condition to you and me, but the agents reckon it "does require updating to meet today's standards". Built in 2001, Oaklands Park has over 100 acres of land with four cottages, 33 stables and a polo pitch. There are five reception rooms and six main bedroom suites. It's for sale through Savills for £25,000,000. Just three miles from the middle of Edinburgh, sixteenth-century Craigcrook Castle is up for sale for the first time in nearly three hundred years. It needs a fair bit of work - and a great deal more money - but has gallons of potential. It's up for sale through Ballantynes with a guide price of £6,000,000. The most expensive property we could find in Northern Ireland right now, Dundarave is a grand mid-eighteenth-century house standing in 595 acres. The extraordinary Great Hall, which rises to the full height of the building, was based on the hall of London's Reform Club. It's on the market for £5,000,000 with Savills. It may be a little outside the usual footballer's territory, but Swettenham Hall has room for a good kickabout in several of its half-dozen reception rooms. There's an indoor swimming pool and gym, a historic chapel - and a helicopter hangar. It's up for sale with Jackson-Stops for £12,750,000. This bastion of bling near Exeter was built four years ago and comes with an extraordinary range of features - from equestrian facilities to a helipad and hangar. There's an indoor swimming pool, an enormous garage that's more immaculate than most kitchens, and even an indoor shooting range - as well as a cinema, bar and entertainment suite. It'll set you back £7,000,000 through agents Knight Frank. "Steeped in history and glamour", say the agents, this Georgian country pile has nine reception rooms and 13 bedrooms. Designed by by Sir John Soane, it features a sweeping double staircase and stunning original features. There's a rumour that Johnny Depp's interested, though, so you may need to move fast to snap it up. It's priced at £5,750,000 through agent Sowerbys. Near Droitwich, this "faux-Regency house" has nine bedroom suites and four receptions - plus a huge conservatory and an orangery. It has a well-kitted out leisure wing, with pool, gym, sauna, steam room and solarium. Set in parkland, it's approached by an impressive drive. You can snap it up for £9,500,000 through agents Andrew Grant.